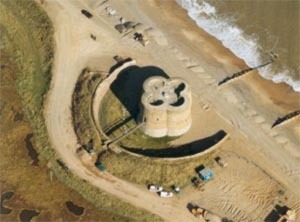 10.15 Suffolk’s Strategic Coastline - Henry VIII’s blockhouses, earth forts, and the Dutch invasion of 1667. 11.30 Brick Forts and Martello Towers – 18th and 19th century developments. 14:00 Almost Modern - Landguard’s state-of-the-art defences of the 1870’s; the Rifled Muzzle Loading Guns; the submarine mining of Harwich Harbour. 15:15 Rearming for the 20th Century – new guns, new batteries; the end of an era. Since retiring from a career in mechanical engineering, Alan Lockwood has furthered his life-long interest in churches, castles, and fortifications and has become a serious military historian with Felixstowe Museum and the Landguard Fort Trust. He is also a specialist in Martello Towers and in the Submarine Mining of harbours.